Going to see T. Swift tomorrow night so I felt it was appropriate to share this post again. I have been thinking about this blog post for six days now and I still have no idea how to write it. Every fan has a Tay Swift story about how she's the only person who can perfectly put into words what they're thinking or feeling or living. She has been narrating my life for years and she's always spot on. That's why she's the best. She's the friend that "gets you" when you don't even get yourself. And yeah - she's totally my girl crush. To sum it up - I've been a fan for a while. Last Tuesday (the 12th) I stumbled upon this little contest on Facebook and thought... hmm I sure love Taylor Swift, and I do just happen to be an above 18 year-old girl living in the greater New York area... why not? So I entered. "Taylor Swift is my soul sister, spirit animal. I have a secret theory that we are destined to be best friends... we just haven't met in real life yet... I listen to Taylor's music all day, every day and the world knows it. She's my beauty inspiration and my role model. I am proud to be a #swiftie. My ultimate girl-date would be to dress up like hipsters and make fun of my exs while drinking tea, watching Grey's Anatomy and knitting (or crocheting)." Done. Submit. Didn't think twice. 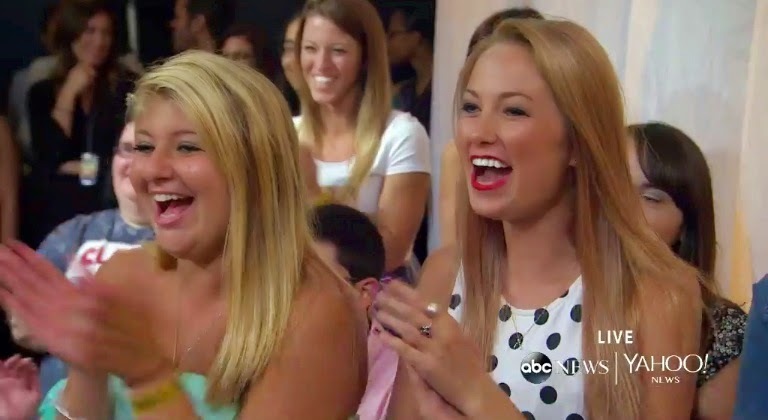 JK I actually told my roommates I thought I would win because why wouldn't Taylor want to meet her soul sister!? I mean, come on. ANYWAY... Thursday night I went on a date and ignored my silently ringing phone in my bag... I returned home that night with a missed call and a voicemail from TAYLOR NATION!!! What!!?! Yeah, so obviously I went into panic mode, convinced I had missed my one and only shot. Here I am at 11:30pm hitting redial over and over again like a crazy stalker. Ugh! That night I slept in my Taylor Swift t-shirt. (Ya know, for good luck or something). Friday morning I called back again. Twice. And then, on the third attempt, someone answered. A beautiful angel from Taylor Nation named Carly who explained that she had been trying to get ahold of me because GUESS WHAT!? I WON!!! 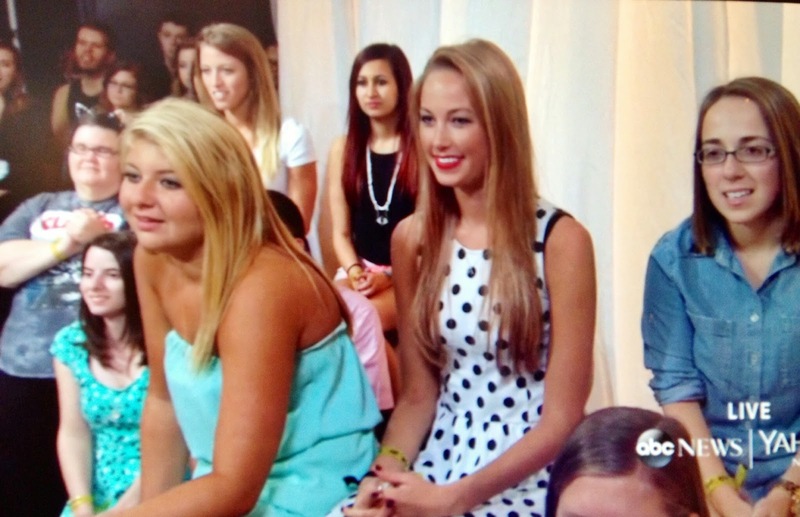 Annnnnd I get to meet Taylor Swift! If I didn't tell anyone... that's the hardest part! SO I spent an entire weekend trying to keep my T-Swift loving lips zipped! But before you know, Monday was here. I dressed for the occasion in black and white polka-dots and matched my red (knock-off) Keds with my ruby stained lipstick. 1:00 I arrived right on time - terrified of being too early or too late. 2:00 - 4:00 we were in holding. Bonding with other #swifties and of course, singing and dancing. In case you missed it, THIS incredible song was released- and can we just chat for a minute about how fantastic this video is? It's hilarious, obviously. As an awkwardly lanky human myself, I understand Taylor's struggle. And as a former dancer, I am obsessed with everything going on here. Not only is she jammin' out, having the time of her life, and embracing her flaws, she looks gorgeous doing it! Right?! Could not be any cuter. I was there when she said it and I told her (in person) that I loved that quote. 6:00 Tay (yeah, I call her that now because we're that close) casually drops a "Hey, anyone want to have a pizza party?" 6:30 We, all 89 of us (see what she did there, 89 of us because the album is called 1989), got on a bus and started driving downtown... towards TriBeCa... towards her house... "No! We can NOT be going to her house!? This is NOT real life!!" 6:45 Yep. It's real. She lives here. Surprise! 7:00 I HUGGED TAYLOR SWIFT - the first time. It took us 30 minutes+ just to get in the door because Taylor wanted to individually greet each and every one of us. It was absolutely the sweetest thing, I can't even explain how touched I was. She genuinely wanted to get to know each of us. Where we were from, who we were, and of course to thank us for always supporting her. She made us feel just as loved as she felt. I don't think any other performer has such a genuine relationship with their fans. She's incredible. 7:30 PIZZA PARTY! 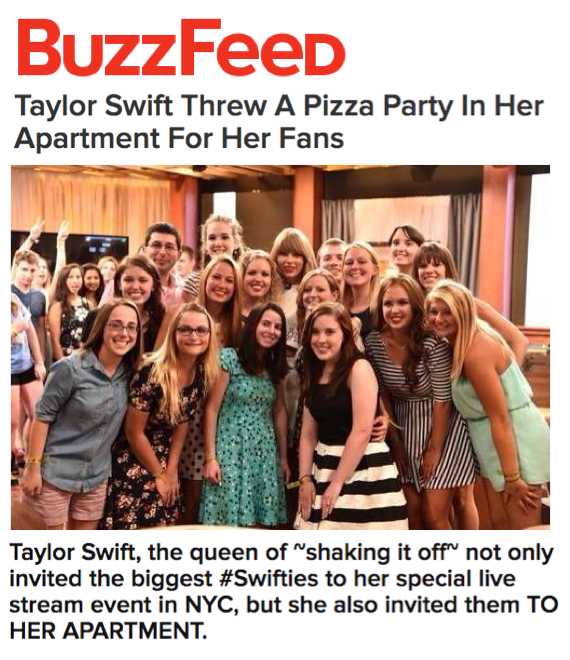 Taylor probably ordered 100 pizzas to insure we had plenty to eat. Diet Coke too, of course. I snatched a "BFF Coke" - now I can say I drank a DC with my BFF Tay. 7:45 Dance Party in the kitchen!! This is still the part of the night I can't quite grasp. You have no idea how many nights I have jammed out to T-Swift in my own kitchen, living room, bedroom, car... I never in a million years thought I would actually be dancing around HER kitchen! WITH HER IN IT! - Did I mention Perez Hilton was there the whole time, filming us on his iPhone. 8:15 Spent some quality time with Meredith and Olivia (Taylor's cats), played her amazing grand piano, and made myself right at home in her shabby chic, perfect, sweet smelling homey- HOME! 8:30 We said our goodbyes. More hugs from Taylor + individual goodbyes. She told me she'd see me around... (we are neighbors after all). Please God, let that happen! She and her cute dad gifted us each 1989 tote bags with three T.S. 1989 t-shirts! "Players Gonna Play" and "Shake It Off" - I'm never wearing anything else, guys! Ok, ok I'm sorry I know this is the longest post ever, but I hope I remember every detail of the night for as long as I live. Yep, it's true. We were on Buzzfeed - which is like a dream in itself, and most likely my father's proudest moment for me as his daughter (he's a Buzzfeed addict). You can also find us HERE + HERE + HERE + HERE + HERE + HERE + HERE + HERE + HERE + HERE + HERE + HERE!! and THIS ONE's kinda funny. 9:00 I walked the half mile home from Taylor's house to my own and caught up on the 58 text messages I had waiting - apparently more people were tuned into Yahoo than I thought... And I flipped through the scenes from the day in my mind. Here's the thing about Taylor guys - and I'm about to get reeeeal cheesy because I know someone will read this and be glad to hear it - Yes, she's brilliant, extremely smart, incredibly talented and pretty much perfect in every way, but beyond that she is so, so genuine. I still, two days later, can't wrap my head around the fact that she did all this because she knew she would make someones day. I sat there and watched these other 88 people crying and laughing and shaking with joy because this was absolutely the best day of their lives thus far. The fact that she puts herself in their shoes and takes the time to fan-girl out a bit, gave me a whole new faith. And I know most of you reading this are thinking, come on Annie, you work in PR, this was all a stunt, but guys I heard the conversations you can't fake that kind of welcoming. So thank you, thank you Taylor for such a magical night. It was enchanting to meet you.